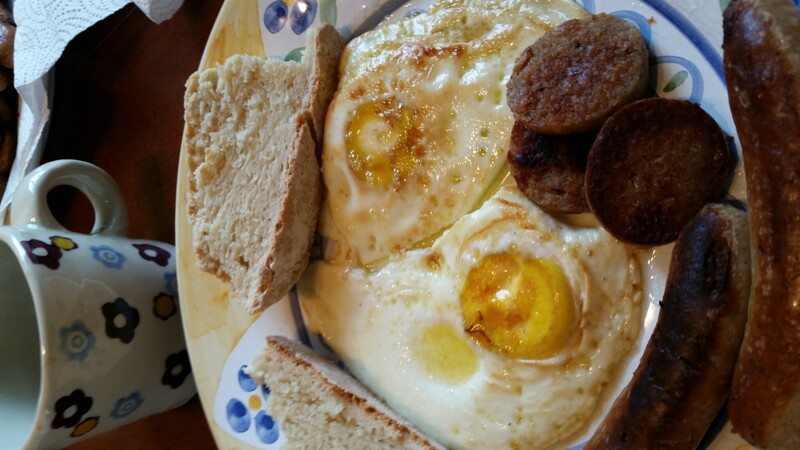 For Easter breakfast, we cooked a partial Irish Breakfast. 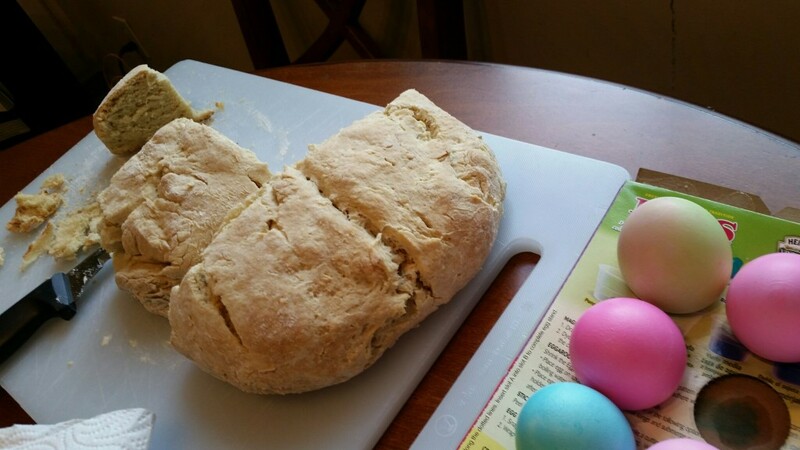 Rebekah used our new cast iron skillet to bake Irish soda bread. 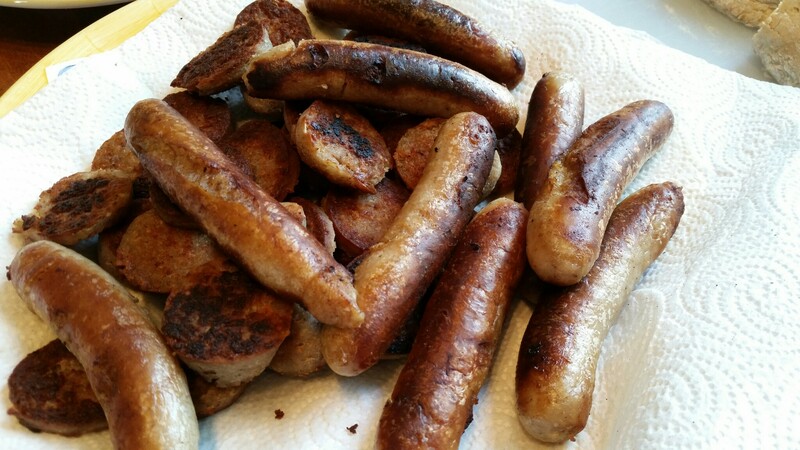 Then we fried up white puddings and bangers. If you are in the Atlanta area, you can purchase these from the Taste of Britain store in Norcross, GA. http://tasteofbritain.com/. 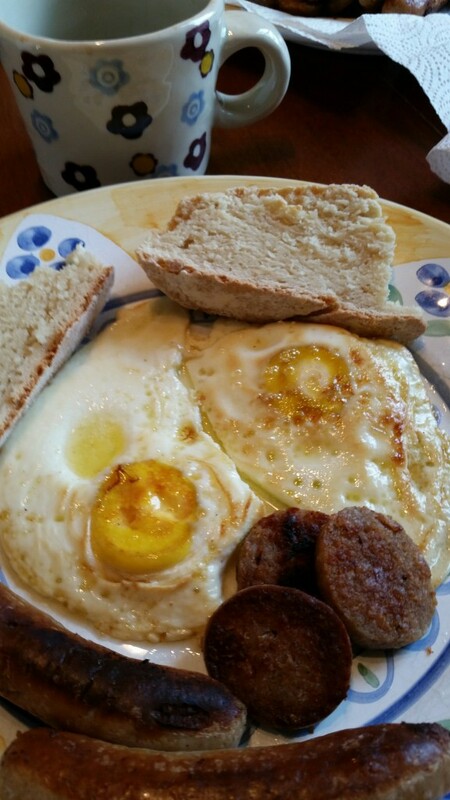 Using the grease and fat from the puddings and bangers, I fried up a couple of eggs. Cooking the puddings, bangers and eggs in the cast iron skillet is so easy and cleanup is a breeze.